(IANS) Russia supports the idea of establishing a free trade area (FTA) in the Asia Pacific region, which is believed to enhance the country’s position in the region’s market, President Vladimir Putin said in a statement. “We support the idea of forming an Asia-Pacific free trade area,” Putin said in an article on Wednesday night entitled “The 25th APEC Economic Leaders’ Meeting in Da Nang: Together Towards Prosperity and Harmonious Development”. The Asia-Pacific Economic Cooperation Economic Leaders’ Summit will take place from Friday to Saturday in Vietnam’s coastal Da Nang city, reports TASS News. Putin said this sweeping project should be implemented with account of the experience of key integration formats in Asia Pacific and in Eurasia, especially the Eurasian Economic Union (EEU) where Russia cooperates with Armenia, Belarus, Kazakhstan, and Kyrgyzstan. “Our union has been developing dynamically, and we are eager to build relations with all countries and associations that are interested in doing so,” he said. 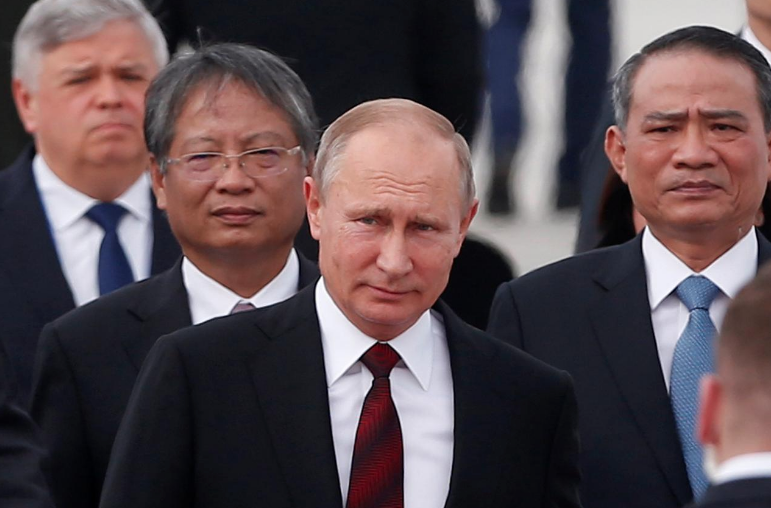 Putin recalled that Vietnam, the host country of the current Asia Pacific Economic Cooperation forum, was the first country in the region to sign a FTA with the EEU. “As a result, our trade grew significantly and became more diversified. Talks on a trade and economic cooperation agreement with China concluded a short while ago. Talks with Singapore have begun, and we are working on the possibility of signing a free trade agreement with Asean (Association for Southeast Asian Nations),” he wrote. He assured that Russia was interested in a successful development of Asia Pacific region. “We believe that effective economic integration based on the principles of openness, mutual benefit and the universal rules of the World Trade Organisation is the primary means of achieving this goal,” he added.